Hello my lovelies! It's the last day of January and it has been a great month for me. I didn't buy any polish this month so there's no haul post to do, but I thought I should show you some nail art that I made last weekend and enjoyed a lot. This was a spontaneous manicure, where you don't have any idea of what you wanna do when you start. I only knew that I wanted to do a gradient. 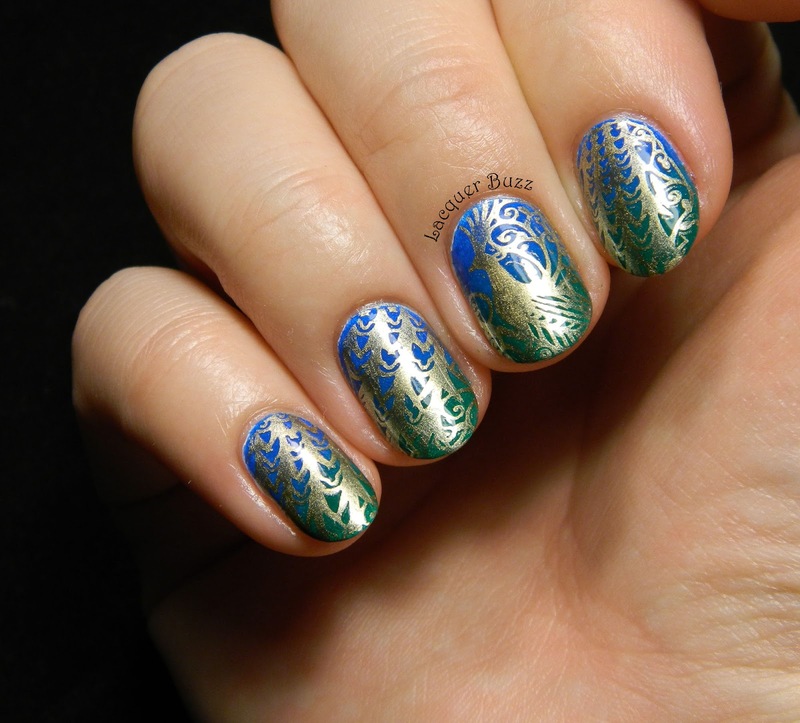 Then I chose the colors and only after finishing the gradient did I pick the stamping plate and the whole theme of the manicure. Luckily, the result was great so I would call this a spontaneous success. I didn't photograph the gradient by itself because it seemed too boring to bother. I used acrylic paints and only used two colors: blue and green. They were both vibrant enough to look really great together. I haven't done an acrylic gradient in a long time so I was reminded of how easy the cleanup is. You just need to use soap and water on your cuticles after covering the nails with top coat. The paints blend easily together so there's always a beautiful result. 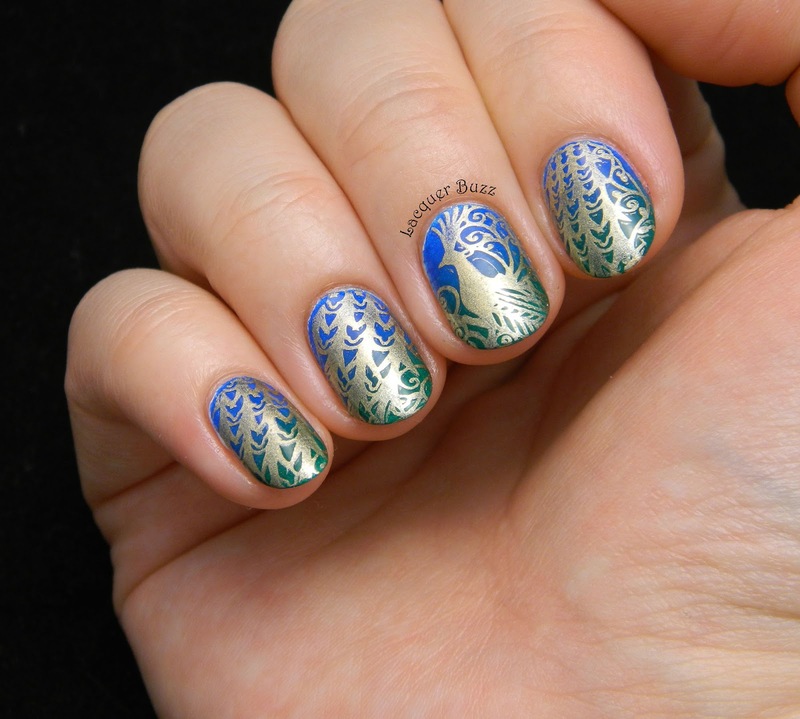 After finishing the gradient I went through my Born Pretty Store stamping plates to pick out what to stamp on top. I saw this peacock one and thought it was perfect for these colors. 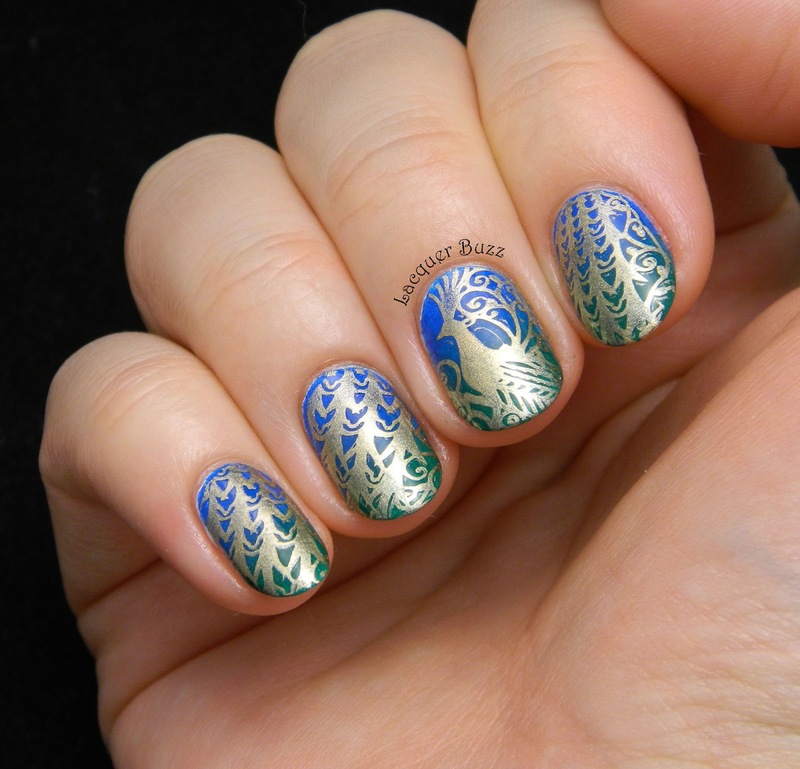 There's a huge peacock image in the middle so I stamped the head part on my middle finger and the tail part on the rest of the nails. The plate is BP-04 and you can find it here. 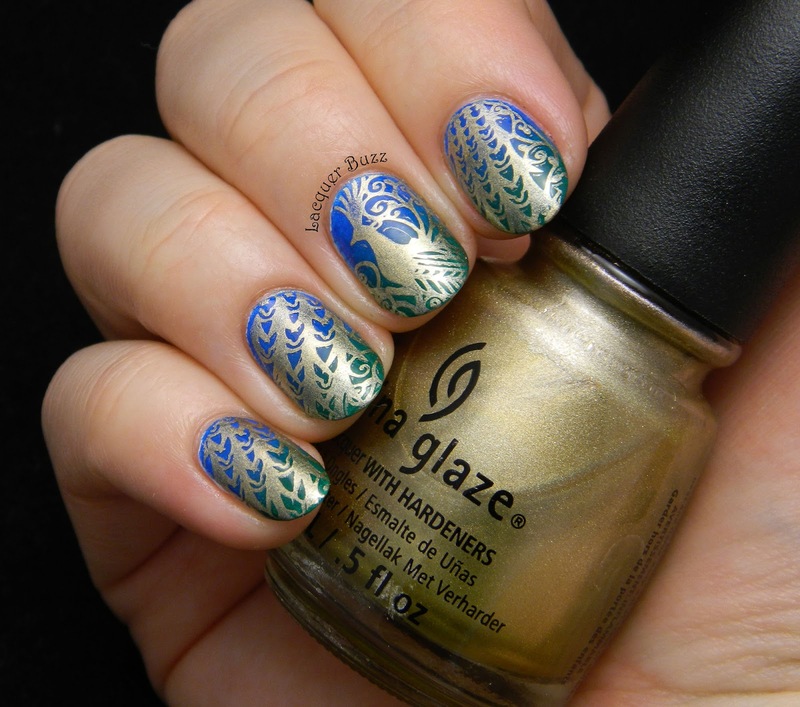 I used China Glaze Passion for the stamping. I can't tell you how much I enjoyed these nails. Hopefully you will like them too! Don't forget that you can use code MFL91 to get 10% off your Born Pretty order. Have a great weekend!